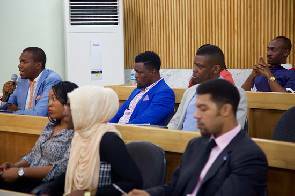 Leading Education not for profit organisation Aim Higher Africa teamed up with Forbes Africa to launch the first in its series of entrepreneurial discussions at the Lagos Business School. Founder of Aim Higher Africa and Forbes Africa correspondent Peace Hyde moderated the discussion. The panel highlighted that 2016 was the year that millennials need to think about how to use adaptive technology in creative ways to solve challenges. Financial literacy will be key in a dire economic climate and how millennials use tech savvy tools to mitigate the looming recession will also be crucial for survival. Aim Higher Africa in recent years have been instrumental in empowering the youth to achieve their fullest potential.